China’s State-Owned Enterprises (SOEs) operate on principles counter to those that underpin free markets, writes Duanjie Chen. Canada needs to guard our free market system by rejecting “unfettered” access by these companies. 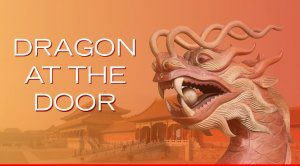 This piece is part of The Dragon at the Door sereis, with commissioned articles from leading world experts exploring different elements of China’s rise as a great power. As the Canadian government consults on a possible Canada-China free trade agreement, it is troubling to see that we still have to encounter the false argument that China’s state-owned enterprises (SOEs) are “equal” to their private enterprises and should therefore be allowed “unfettered access” to all key sectors of the Canadian economy. Without doubt, all the SOEs around the world, including Canadian Crown corporations, are created as tools to meet their governments’ policy ends. SOEs are intended to serve the national interest, to operate in sectors featuring natural monopoly or political sensitivity. It is the very essence of SOEs that they operate outside a free market economy rooted in private property rights. Therefore, one should not bolster the legitimacy of SOEs by equating them with private enterprises. China’s SOEs go even further than most: They are the cornerstone of the so-called "China model," which has been a disruptive force to the global free market system. To prove this observation, one only needs to look at how China’s GDP-driven state-owned steel companies, with their stubborn overcapacities, have caused a prolonged global steel trade conflict. China’s SOEs go even further than most: They are the cornerstone of the so-called "China model," which has been a disruptive force to the global free market system. To properly understand China’s SOEs, let’s take three concrete steps. First, let’s compare China’s SOEs with our Canadian Crown Corporations, given that both of them are government’s creatures. Canadian Crown Corporations (CCCs) are not allowed to enter any business sector in which there is no issue of market failure. In contrast, China’s SOEs are the dominant force in its economy and are encouraged to pursue profit globally with the government’s financial backing. While CCCs are accountable to taxpayers represented by our government within a democratic system, China’s SOEs are accountable only to their one-party state. Therefore, China’s SOEs and our Crown Corporations play by very different sets of rules. CCCs operate at arm’s length from the government on their day-to-day business with no partisan alignment. This is not so with China’s SOEs – they are the property of the Chinese Communist Party (CCP). The CPP openly advocates strengthening its leadership as the “political core” within all SOEs to make them “bigger, stronger, and superior” around the world. Second, let’s examine the trajectory of China’s SOEs against the three basic principles for free trade: property rights and contract rights, competitive neutrality, and reciprocity. China’s SOEs were established and have been sustained by the government’s general denial of private property rights and, in their infancy, by massive confiscation of privately owned business and appropriation of foreign-invested companies. China’s entry to the World Trade Organization (WTO) in 2000 was supposed to bring about fundamental SOE reform to help transform China into a market economy. But the government only further consolidated its SOEs’ dominance across a broad range of strategically important sectors that do not allow free entry of private enterprises, domestic or foreign. During global financial crises, China’s SOEs deepened their internationalization by buying up cash-strapped Western companies, in accordance with the government's strategic plans. Equally important is China’s recent One Belt, One Road (OBOR) initiative – a massively ambitious infrastructure program with nearly US $1 trillion in planned investment (with an even higher eventual target) for building roads, bridges, pipelines, ports, and railways in Asia and beyond to create a “Silk Road Economic Belt” around China. This initiative will only further promote an environment for speeding up its SOEs’ globalization. During global financial crises, China’s SOEs deepened their internationalization by buying up cash-strapped Western companies, in accordance with the government's strategic plans. In the meantime, by enforcing its negative list of strategically important business sectors, China has never allowed any foreign firm free access to its domestic market. Even worse, the government sometimes plays tricks to aid its national champions, SOEs or not. For instance, China’s search engine Baidu is a well-known “state-gifted internet monopoly,” despite its non-SOE status, thanks to the government’s kicking out Google by enforcing its political censorship. And finally, let’s look at some official statistics from China’s Ministry of Finance and from Statistics Canada to pinpoint the driving force behind the incredible growth and globalization of China’s SOEs. Over the five-year period of 2012-2016, China’s GDP growth rate averaged 7 percent. In contrast, China’s non-financial SOEs grew 13 percent annually in their total assets and 14 percent in total debt! But their business performance over the same period was dreadful, with an annual growth rate of barely 3 percent in revenue and 2 percent in profit. China’s SOEs as a whole can sustain and expand wherever and whenever they want; the only limit is their government’s will, which contradicts more than complements market forces. At the company level, the number of Chinese SOEs that have entered the Fortune 500 has increased 27 percent from 70 in 2012 to 89 in 2016. It is noteworthy that the six state-owned steel giants were steadfast on the list year by year, with combined annual gross revenues hovering above $210 billion. That is, the global slump in steel market barely shook these steely SOEs in China. From an international perspective, at the end of 2016 the total assets of China’s non-financial SOEs were about $19.3 trillion, a 50-percent growth from 2012, which is larger than the US GDP, and their total revenue was $6.7 trillion, more than quadruple our Canadian GDP. All these numbers indicate that despite their extreme low profitability, China’s SOEs as a whole can sustain and expand wherever and whenever they want; the only limit is their government’s will, which contradicts more than complements market forces. Given the Chinese government’s unwavering financial support for its SOEs' global expansion and its traditional stand against competitive neutrality and reciprocity, it is imperative for Canadians to guard our free market system by rejecting China’s demand that its SOEs gain “unfettered entrance” to a small open economy like ours. Duanjie Chen is a Research Fellow at the School of Public Policy, University of Calgary.